Make your event come alive as Barney Fife celebrity look alike, lookalike impersonator is a guests at your event! Invite Barney Fife celebrity look alike, lookalike impersonator to be your safety officer for the day. 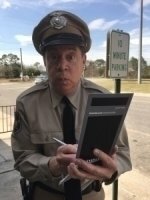 Who better than Barney Fife celebrity look alike, lookalike impersonator to “educate” your employees on the importance of customer service excellence? Invite Barney Fife celebrity look alike, lookalike impersonator to speak at your event and roll with laughter and fond memories as Barney educates your executive team on ways to manage the “Mayberry” way. Barney Fife celebrity look alike, lookalike impersonator is perfect for conventions, trade shows, executive retreats, corporate parties, company picnics, photo opportunities and more! Hire Barney Fife celebrity look alike, lookalike impersonator to rev up your next event and he’ll nip it, nip it in the bud! Barney Fife Lookalike Impersonator would make a great addition to all of your VIP events. He could walk around writing tickets to your guests for the crime of looking to good. He has always been a huge hit as Barney Fife Lookalike Impersonator at every event his is invited to. 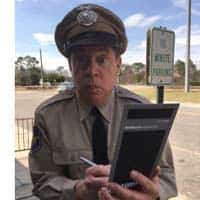 Invite Barney Fife Lookalike Impersonator to you next event as a surprise for your guests for photo opts and meet and greet……he will control your party with his shaky authority as Barney Fife lookalike impersonator.